BATON ROUGE — Sen. David Vitter (R-Louisiana) will be honored by the Republican Party of East Baton Rouge Parish next Friday, Sept. 14 for his service in the United States Senate. The party is holding the First Annual Ronald Reagan Awards Luncheon at the City Club in downtown Baton Rouge. The reception will begin at 11:30 a.m. and the lunch at 12 noon. 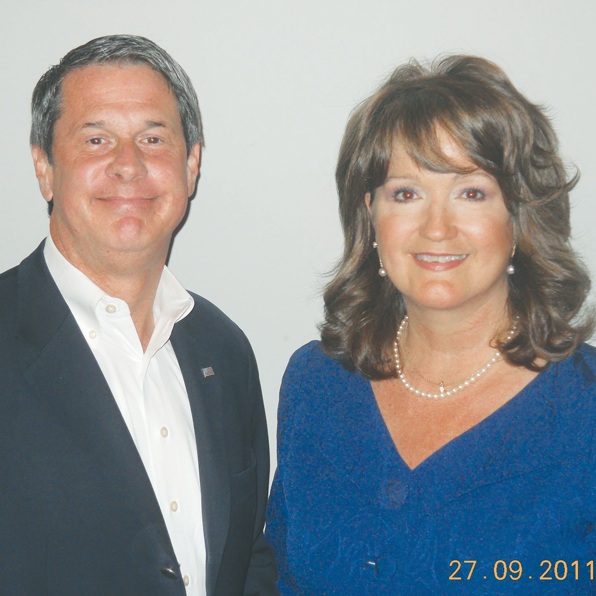 Vitter became the first Republican elected to the United States Senate from Louisiana in 2004. He was reelected in 2010 for a term ending in 2016. A Rhodes Scholar, he formerly served in the Louisiana House of Representatives and in the United States Congress. Event chairman Richie Edmonds said Vitter has been a leader in the Senate for balanced budgets, lower taxes, free enterprise, and a strong national defense. Vitter said he was honored to be chosen for the award but told party leaders that he wanted to use the occasion to help elect conservative Republican candidates in East Baton Rouge Parish. As a result, the luncheon will be a fundraising event with all proceeds being used to support the local Republican Party, which will be supporting Mitt Romney for President, Paul Ryan for Vice President, Mike Walker for Mayor-President, and other endorsed Republican candidates. Edmonds said 100 percent of the funds raised will be used in East Baton Rouge Parish. Tickets for the event are $500 a couple. Sponsorships are $5,000 for a Gold Table of eight, and $2,500 for a Bronze Table of eight. Edmonds said it will be a small event that should afford everyone the opportunity to meet the senator and have a photo taken with him. Individuals wishing to attend the event should send checks to Republican Party of East Baton Rouge Parish, 7047 Jefferson Highway, Suite B, Baton Rouge, LA 70806. To reserve a table or for further information, call Richie Edmonds at 225-892-6000 or email GOP-BatonRouge@hotmail.com. The local Republican Party website is www.CapitalRepublican.com. Regular updates are provided by “liking” Capital Republican on Facebook.